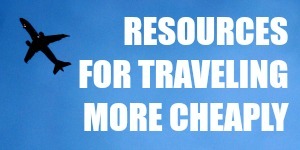 Home exchange is a great tool for budget travelers. By swapping homes with someone else, you’ll save money and get to enjoy living like a local. In a typical home exchange, you’d let someone stay in your home and you’d get to stay in his home. This way, both of you get to live in each other’s homes for free. What’s so great about home exchange? It erases accommodation expenses, which can often take up a big chunk of your travel budget. Depending on your agreement with your exchange partner, you may also get the use of a vehicle, which would reduce your local transportation expenses as well. You’ll also get the local experience in a new, strange place — you’ll stay in a local home, shop in local groceries and have local neighbors. The process of getting a firm home exchange agreement could be long and frustrating. You’ll have to be flexible about where you go. You’re more likely to get a home exchange deal if you’re open to several possible holiday destinations. You’ll be leaving your home in the care of strangers. Sure, you can get to know your home exchange partners beforehand, but there’s no guarantee that they’ll take good care of your home. The house on the other end of the deal may not be up to your cleanliness standards. But then again, some hotels can be downright dirty, too, and you actually have to pay to endure those rooms. How do I ensure a good home exchange? As it is with anything else, there are always some people who abuse the system and/or don’t respect the etiquette. They make up a small portion of the home exchange pool, though, so there is little chance of you coming across these people. According to John Mensinger of Home Exchange University, though, the way she does home exchange is not typical. Most people approach the process with more caution. All of John’s 19 home swaps have gone smoothly and he says the key is research. Meet up with exchange partners beforehand, if possible. Who is home exchange for? It’s for those who have a home to swap, obviously. Home exchange is not the way to go if you’re a full-time nomad with all your worldly possessions neatly tucked into a backpack — go with house-sitting instead if this is you. Home exchange works best if you travel during peak travel seasons. There are more homes listed for exchange, say, in the summer when school is out. A home exchange generally lasts between two and four weeks. If you want to stay longer, you’ll have to plan a series of back-to-back home exchanges with several people. It’s not impossible to do, but it’s logistically challenging. Okay, I’m convinced. How do I start? You’ll have to join at least one home exchange community, which usually charges about $100 each for one year of membership. 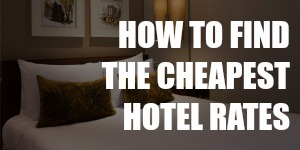 This might seem like a big investment, but think about how much a hotel charges for just one night. You’ll save a lot of money on your next trip if you successfully make a deal with another home swapper. Wanna learn more about free accommodation? 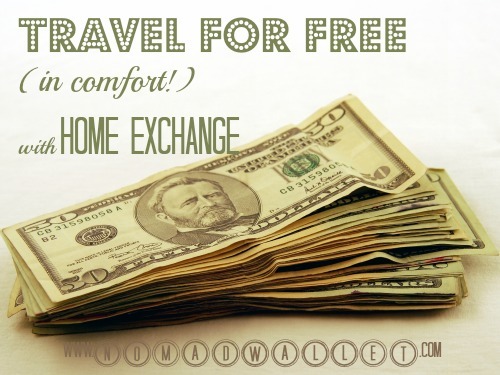 Home exchange is not the only way to stay for free when you travel. 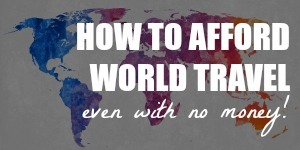 If you want more information on the different kinds of free accommodation and how to get these gigs, check out this e-book: How to Get Free Accommodation Around the World. It’s quite an exhaustive resource on the subject! Images: 1. Mark Moz (CC BY 2.0 License); 2. (Free License). You Don’t Know It, but Your Big Risk Controls Your Life. Hi, we’ve done many exchanges last 3 years and I have to say that I’m still wondering why I didn’t start before. It is such a great experience. Some more great comments. The BBC here in the UK are looking for potential home swappers for a program they are producing to hopefully go out later this year so this will help to promote the idea of Home Exchange even more. The more people who know about this idea the more that may just try it. I had no idea! That should be an interesting show. I’d watch it. Seems like home exchange will be growing very soon. This is a great idea indeed! :D Home exchange getting more popular nowadays, specially for the travelers and business men. I totally want to try this one day in the future! Maybe the house sitting to if we ever travel very long term. It’s amazing all the travel options that are out there these days. It’s a never ending learning process. I’m surprised by how much alternative accommodation has appeared in big mainstream publications lately. It’s becoming quite a big industry. No wonder the hotels are feeling threatened by AirBnB! A great article with good onfo although I would say that many of us older travelers tend to travel for longer periods and because we have more time available and can be more flexible will often vacation outwith the normal peak seasons. Home Exchange is such a great way to travel and although it is becoming more and more popular I am still surprised that more people do not swap homes. Why pay to stay in a hotel or rent somewhere when you can stay for free? Swapping homes is not just about the huge savings that can be made but also about the experiences gained and the friendships forged. However you travel – enjoy! I’m always so happy to see international home exchange gets the attention it deserves; so I was thrilled to see this post. Thank you Nomad Wallet! I’m not surprised that i’m starting to see this subject getting more mainstream attention. Given the fast growing Sharing Economy, it’s becoming much more popular (trendy even) to trust your peers. I started trusting my peers back in 2009 and my family has since spent a total of about four months in Italy/France/England and Spain. I am so grateful that we found international home exchange when we did. Our experiences have enriched our lives like you would not believe. I felt so strongly about sharing my home exchange experience with other families, that I started a website back in December, http://www.trustingtraveler.com. 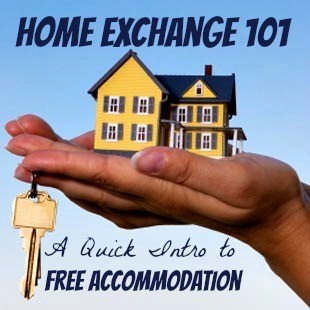 If anyone is seriously interested in learning everything they need to know about international home exchange, I offer a great deal of in-depth information on this intriguing subject, feel free to take a look. Hi Kerry! You’re right, I’ve definitely seen home exchange being featured in big, mainstream publications lately. I haven’t tried home exchange myself because I don’t have a home to exchange, but the sharing-economy-type accommodation options I’ve tried so far have been great. I love that I interact with real people instead of faceless companies. Sure, there’s a teeny-tiny chance that things could go wrong, but when everything runs smoothly, it’s awesome. Very good review and I love the tips especially trying to research your potential exchange partner and using Google view/maps to have a look around the neighbourhood before deciding. This article reminds me a bit of the film The Holiday with Kate Winslet , Jude Law, Jack Black and Cameron Diaz which is all about a home exchange and has a happy ending. It’s nice to know I’m not the only one who Googles people as a matter of precaution!